Late one summer night in 2014, Kevin Keller broke into his best friend’s home. Keller was a U.S. Navy vet wracked with constant pain, and because his right arm had been crippled by a stroke, he had to use his left hand to scrawl a note of apology to his buddy: “Marty, Sorry I broke into your house and took your gun to end the pain! FU VA!!! Can’t take it anymore.” He then drove to his nearby Veterans Affairs outpatient clinic in Wytheville, Virginia, and pounded on the locked doors of the medical office, probably out of frustration or as a final protest, since the facility had been closed for hours. Keller then put the barrel of his friend’s 9 mm pistol to his head and shot himself. In a ceremony in the East Room of the White House in late June, President Donald Trump signed a law making it easier for the Department of Veterans Affairs to remove bad employees and protect whistleblowers. He was joined by his new Veterans Affairs secretary, Dr. David Shulkin, and Sergeant Michael Verado, who lost his left arm and leg to an improvised explosive device in Afghanistan in 2010, but had to wait 57 days for a properly fitted prosthetic, and over three years for the VA to correctly equip his home with accessibility equipment—making him a living symbol of the agency’s wait-time scandals. The fetid VA swamp has been spreading for years under the last three VA secretaries, including Shulkin. It’s an institution long notorious for vicious retaliation against whistleblowers and a penchant for falsehoods, obfuscation and delay, as well as rampant cover-ups of unsafe and sometimes deadly conditions—or even fraud—by the VA’s watchdog agencies. This is all kept from view by what some longtime employees call “the code”—the institutional silence and protection offered wrongdoers. Likening it to the mob’s “omertà,” one high-ranking VA administrator, who insisted on anonymity, tells Newsweek, “You don’t break ‘the code,’ or your career is over…. It’s a fearful environment. Shulkin’s media office declined repeated requests for an interview with the VA secretary by this reporter to discuss the rampant problems at the VA, but he has made some progress in cleaning up the department—while demonstrating a shrewd feel for public relations. The Boston Globe reported in mid-July that the highly rated (by the VA) Manchester, New Hampshire, VA hospital had to close an operating room because exterminators couldn’t get rid of flies, and thousands of patients couldn’t make appointments for vital, sometimes life-saving, treatments because of a breakdown in scheduling specialized care outside the VA. Whistleblowers had been complaining about this for years, to no avail, but a few hours after the Globe story broke, Shulkin removed the two top administrators. But even this response was more symbolic than substantive. Many other shocking abuses have been ignored by Shulkin and his predecessors. In 2016, 34 whistleblowers turned to the Scripps News Washington Bureau and its Cincinnati TV affiliate, WCPO, to report such problems as surgeons allegedly being pressured to use blood- and bone-splattered instruments as “sterilized” by the Cincinnati VA hospital’s then–acting chief of staff, Dr. Barbara Temeck. Those complaints were backed by hundreds of dangerous incidents chronicled in internal documents given to Scripps. (Temeck has denied the allegations, although she was demoted after Scripps reported that she improperly prescribed opiates to the wife of her regional supervisor.) The VA’s investigators didn’t interview any of the whistleblowers quoted in the press and concluded that there were no safety problems at that VA Medical Center, a position Shulkin’s VA still holds. All told, nearly 2,000 VA whistleblowers were forced in fiscal year 2016 alone to appeal to an independent federal agency, the Office of Special Counsel (OSC), to protest retaliation while reporting fraud or unsafe conditions—more than the next four problematic federal departments combined. As The Boston Globe reported in September, these employee complaints included nursing home residents at the Bedford, Massachusetts, Veterans Affairs Medical Center allegedly being starved of food for hours or left to lie naked in bed amid the squalor of soiled sheets. Shulkin has established a new office given a mandate to protect whistleblowers, but that hasn’t yet halted the retaliation. “I don’t know of a single instance when a VA employee has been held accountable for harassing whistleblowers,” says Krause. This turf-protecting has perhaps been most apparent in the VA’s belated response to the national opiate crisis it helped usher in. The VA doesn’t even keep an accurate count of how many veterans have died of legal or illegal drug overdoses, even though it officially launched an Opioid Safety Initiative in 2013 that has brought the VA’s opiate prescribing down 30 percent. Nor does it regularly monitor opiate use by its patients who seek legal or illegal drugs outside the VA. The VA’s overmedication epidemic, which wasn’t on the list of reform priorities Shulkin released in May, has become especially urgent because of its apparent link to the 20 suicides a day of veterans in the U.S. Even those earlier VA figures may be a gross understatement. When the VA released in September state-by-state data, it showed, for example, that Arizona had a suicide rate as high as 53.6 per 100,000 across all age groups, nearly 40 percent higher than what the VA was reporting nationally. These troubling suicide rates—at least double the civilian rate—haven’t been stemmed by all the VA’s suicide-prevention efforts (including the slowly improving crisis line, 1-800-723-8255). For Arizona veterans between 18 and 34, the suicide rate was an astonishing 76.8 per 100,000, twice as high as the national rate for all veterans. The average suicide rates were especially high in some rural areas across the country, the new VA report said. Even if the VA has done relatively little to reform prescribing, it’s becoming more evident that medications play some role in all these tragedies. For instance, a 2016 study by researchers at the South Texas Veterans Healthcare System found a nearly 400 percent increase in overdoses and suicidal behavior by Iraq and Afghanistan war veterans given too many psychotropic and opiate medications, a practice known as “polypharmacy”—receiving five or more drugs affecting the central nervous system. Another recent study of veterans’ suicides between 2004 and 2009 found that the suicide rate was twice as high for those patients receiving the highest doses of opioids compared to low doses, although no causal link was established for the meds. This drug free-for-all has gotten so bad that Republican Senator John McCain of Arizona reintroduced a bill called the Veterans Overmedication Prevention Act. It demands that the VA commission an independent study to analyze all the suicides and accidental overdoses of veterans who have died in the last five years, and itemize all medications they received. McCain said in May that the ultimate goal is to “ensure doctors develop safe and effective treatment plans for their veteran patients.” Given the reality of today’s VA and its past failures, that worthy goal seems unlikely to be achieved anytime soon. In West Virginia and most other states, the VA worsened the nation’s opioid crisis by essentially ignoring it—the VA didn’t even start reporting all patients getting opiates to state databases until the end of 2015, a delay that allowed those patients to do more doctor-shopping and drug-dealing to and with civilians. VA pharmacies were finally compelled to share prescribing records by a federal opioid abuse law passed in July 2016, but by the end of last year, 18 state VA programs still weren’t reporting. In May 2016, the board chairman of the American Academy of Family Physicians wrote a letter to Shulkin, then head of the VA’s health agency, the Veterans Health Administration, pleading for the department to impose mandatory opiate reporting on all VA programs. Speaking more than a year later, the AAFP’s president, Dr. John Meigs, tells Newsweek his organization has still not heard back from Shulkin or anyone else at the VA. “Prescription drug–monitoring programs are among the important vehicles for preventing patients from abusing opioid medications and, as such, are a cornerstone of the American Academy of Family Physicians’ advocacy on dealing with this epidemic,” he declares. And that’s what happened to Marine Corps veteran Jason Simcakoski, who was taking 16 different VA-prescribed opiates, benzodiazepines, an antipsychotic and other sedating drugs before he died. By the time he checked himself into the Tomah, Wisconsin, VA’s inpatient psychiatric unit in the summer of 2014 for help with anxiety and a pill addiction, VA leadership had known for years that there were deadly overprescribing problems there. But they didn’t begin to address the crisis until the CIR broke this story in January 2015: “Opiates handed out like candy to ‘doped-up’ veterans at Wisconsin VA,” leading to the deaths of over 30 veterans. The story laid out how opiate prescribing had quintupled since Dr. Michael Houlihan—nicknamed by vets “the Candy Man”—became chief of staff in 2005, while the number of patients served dropped. Nationwide, opiate prescribing increased 270 percent across the VA system since 9/11, CIR discovered, while the patient load had increased less than 40 percent by 2013. The latest guidelines at the time for sensible opiate prescribing were routinely ignored at Tomah and many other VA facilities, and Houlihan’s reckless prescribing was exacerbated by his penchant for terrorizing any clinician and staffer who opposed him. This was especially notable in his firing of a psychologist who had objected to the excessive doping of patients, then faced relentless harassment from his supervisor—and later killed himself after he lost his job. Noelle Johnson, a Veterans Affairs pharmacist fired from Tomah after she refused to fill high-dosage opiate prescriptions, notes that the VA’s archaic software didn’t flag any dosage or interaction warnings for the 1,080 morphine pills in 30 days she was pressured to prescribe a patient with “psychological pain.” She says, “My bosses tried to strong-arm pharmacists.” She adds that she got the same kind of pressure at her new post with the Des Moines, Iowa, VA. Although it was obvious that Jason Simcakoski was an addict, the VA kept shipping him bagfuls of opiates and benzos and antipsychotics, and he was also dosed with the stimulants Adderall and Ritalin, which worsened his mood, behavior and insomnia. His doctors prescribed those for a questionable diagnosis of attention deficit hyperactivity disorder, just one of at least a dozen or so diagnoses slapped on him over the years, along with bipolar personality disorder and PTSD. “With all these medications, he went downhill real fast,” says Jason’s father, Marvin Simcakoski. His weight ballooned from 180 to 250 pounds, and he was too ashamed to go into a restaurant on those rare days he went into town—he’d only order food from drive-thru windows. Near the end, he couldn’t even bend down to tie his shoes. When Jason died in August 2014 of what the local medical examiner called “mixed drug toxicity,” he had just been obeying his doctors’ orders: He was already taking 14 different medications, including high-risk opiates, benzodiazepine tranquilizers and the sedating antipsychotic Seroquel. Yet just two days before his death, Jason was also given Suboxone, an opiate typically used to reduce dependence on other narcotics. This was soon followed by a powerful migraine medication, Fioricet, that posed a risk of respiratory failure or death when combined with Suboxone and several of his other drugs. He was ingesting this drug cornucopia despite the well-known dangers of potentially fatal interactions between Suboxone and all three benzodiazepines he was taking—Valium, Restoril and Serax—and with some of his other high-risk medications. After that congressional hearing, the VA announced it was conducting a criminal investigation; that probe and other investigations led to a few Tomah medical officials getting vilified in the press, and eventually facing employment sanctions. Houlihan was fired more than a year after Jason died, but he was practicing medicine until January 2017, when he agreed to surrender his license as part of a deal with state regulators to drop their investigation of him. Jason’s father and widow took their campaign against the VA’s medication practices to D.C. They worked with Democratic Senator Tammy Baldwin of Wisconsin on legislation to curb and monitor opiate overprescribing, and appeared at a news conference in June 2015. The Jason Simcakoski Memorial Opioid Safety Act was signed into law in July 2016. Heather hopes the bill will save lives, but she and other VA critics know there are critical weaknesses in the new plan to rein in overmedication: weak oversight of staff, worsened by the VA’s electronic records and drug-interaction alerts that too often fail to work, and on-screen drug warnings that are widely ignored. In 2015, the VA paid over $1 million to the widow of former paratrooper Ricky Green, who died after getting his opiates and tranquilizer dosages cranked way up after back surgery. The VA pharmacists admitted under oath that their software hadn’t flagged either the higher dosages or that Green had a sleep apnea condition that fatally interacts with those drugs. That’s one reason no one knows how many vets have been killed by accidental prescription overdoses in the past decade, although a handful of rigorous studies suggest the death toll is in the thousands. One of the very few scholarly reports on accidental overdose deaths of veterans, done by University of Michigan and VA researcher Amy Bohnert in 2011, used 2005 data to conclude that 1,013 patients receiving VA services died annually through unintentional overdoses, mostly from prescription medications. 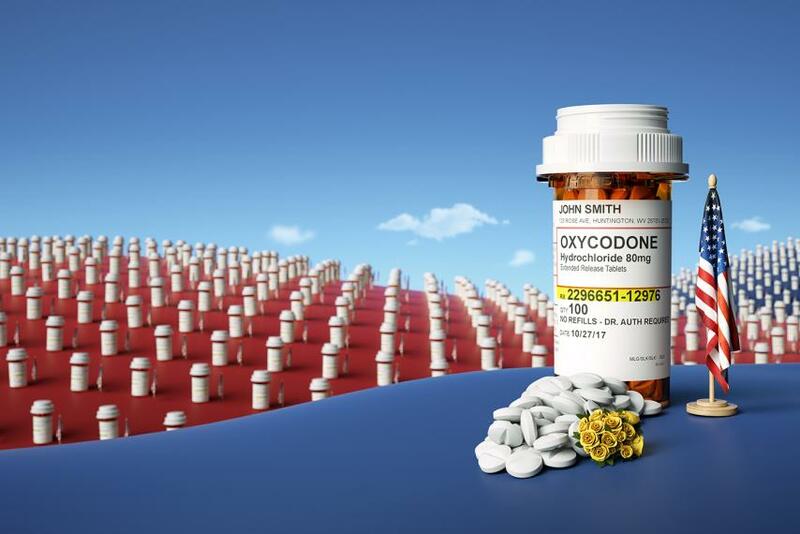 At that time, legal opioids, present in nearly a third of the accidental overdose deaths, were the most common substances involved, while non-narcotic psychiatric drugs and sedatives were involved in 22 percent of the deaths she studied. (Across all civilian and military populations, legitimately manufactured opioid medications account now for only 15 percent of opioid fatalities.) When the Austin-American Statesman looked at Texas records in 2012, nearly 20 percent of all deaths of veterans getting VA benefits they studied were due to mostly accidental overdoses of prescription drugs—not from suicides. Although the VA boasts that those tougher guidelines have led to a decline of nearly a third in opiate prescribing, it doesn’t track veterans who have turned to heroin and illegal prescriptions as a result of the cutbacks—or notice the devastation this crackdown is causing. It has become increasingly clear that too many VA doctors are focusing on taking patients off opioids without offering appropriate addiction counseling or addressing how they’re needlessly hurting all the chronic pain patients they’re taking off these meds. “They’re not focusing on patient-centered care; they’re focusing on numbers,” one VA staffer says. At one point, this employee says, a doctor in a major VA medical center was spotted crying in the hallway because he was obligated by administrative fiat to kick a chronic pain patient off opioids in a way that he knew would hurt his patient. In VA hospitals all over the country, dissidents such as Brandon Coleman are still punished for trying to save lives or fight fraud. He is a bearded, blunt-talking addiction therapist formerly with the Phoenix VA and a disabled Marine Corps veteran who severely shattered the bones of his left foot during a training accident at Camp Pendleton that led to nine failed surgeries, and he felt he had to file a formal federal whistleblower complaint in December 2014 over the maltreatment of veterans at that notorious VA hospital. With his past as a meth addict who came close to shooting himself in 2005, he was alarmed that the understaffed ER was allowing suicidal or homicidal patients in crisis—often brought over by addiction counselors—to simply wander off. One patient killed himself in the parking lot after being ignored by the staff. “It crushes me when a veteran successfully commits suicide,” he says—and since 2011, at least six of the addicts he counseled killed themselves before he was pushed out of his job early in 2015. “There are dozens and dozens who commit suicide in the Phoenix area each year,” Coleman says. After going public with his concerns in January 2015, a specialized yearlong outpatient program he ran in the evenings for addicted veterans with criminal convictions was shut down by Phoenix VA administrators, he was forced to take administrative leave, and he was investigated for purportedly threatening a colleague. Coleman may now be in a position to stop the abuse of whistleblowers—he’s a staff member of the new VA whistleblower protection office. While his appointment is perhaps the most positive indicator yet that the VA might try to reform, that’s a heavy burden to place on his broad shoulders. He’s gotten well over 50 calls and emails from desperate staffers turning to him for help since his appointment was announced. For example, one new test case Coleman and his colleagues are reviewing involves an MIT-trained Tomah VA engineer, Jae Pak, who was fired after trying to halt an allegedly shoddy, unsafe series of delayed hospital repair projects—by a company friendly with administrators—that were way over budget. He faced a spurious disorderly conduct charge (the case was dismissed). Equally troubling, critics say, he was forced out under the watch of a new Tomah hospital director, Victoria Brahm, and a new regional VA chief, Renee Oshinski, who both, while at regional headquarters, allegedly downplayed for nearly a decade the deadly prescribing and retaliation campaign led by Houlihan, Senate investigators found; the officials claimed they responded appropriately. One added weapon for reform could be a new bill moving slowly through Congress designed to quickly discipline or remove administrators who harass whistleblowers. It is named after Christopher Kirkpatrick, the psychologist who killed himself after being driven out of his job at Tomah for protesting deadly prescribing. For now, patients at VA sites such as the Phoenix and St. Louis hospitals (where the chief of psychiatry, Dr. Jose Mathews, was forced out in 2013 after reporting that suicidal patients were ignored by staff) continue to see honest, dedicated clinicians and other employees get punished. Adapted from the new book Mental Health, Inc.: How Corruption, Lax Oversight, and Failed Reforms Endanger Our Most Vulnerable Citizens, by Art Levine. Copyright © by Art Levine, 2017. Published by The Overlook Press, Peter Mayer Publishers, Inc., OverlookpPress.com. All rights reserved. So you say you don’t want a New World Order?